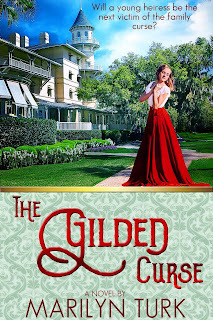 Leave a comment for a chance to win The Gilded Curse. When Sarah Pardee married William Winchester in 1862, she enjoyed a life of extravagant luxury. Winchester, manufacturer of the Winchester repeating rifle, became a very wealthy man through the sale of his guns, and the couple were among the elite New England society. But in 1866, the death of their infant daughter threw Sarah into a depression from which she never emerged. Several years later, she lost her husband to tuberculosis, and her grief was overwhelming. Sarah sought the counsel of a Boston medium to reach her beloved dead family members. The medium told Sarah that spirits of those killed by the Winchester rifle – Civil War soldiers, American Indians and others – had sought revenge by the death of her husband and daughter. She also told Sarah they would kill her too, unless she moved out West and built a great house for the spirits. In addition, Sarah was told construction on the house must never end in order to appease the spirits and keep her alive, perhaps even give her eternal life. 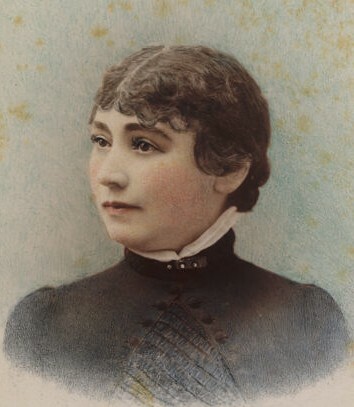 Sarah followed the medium’s suggestions, and in 1884, she moved to the Santa Clara valley just outside San Jose, where she bought a farmhouse and property to build her mansion. Contractors were hired to work in round-the-clock shifts so the work never stopped. What began as an eight room house became a seven story mansion over the next thirty-eight years, and her property grew to 160 acres of orchards and imported plants. One of the wealthiest women in the country after inheriting twenty million dollars and stock, money was no object as she built her house. The finest materials were imported for the home, some which were never used by the time of her death. Sarah paid her workmen double the going wage for that era, so they didn’t argue with her eccentric plans. Sarah never had a blueprint drawn, rather she held a séance in a special room each night to sketch the next plans for the house. 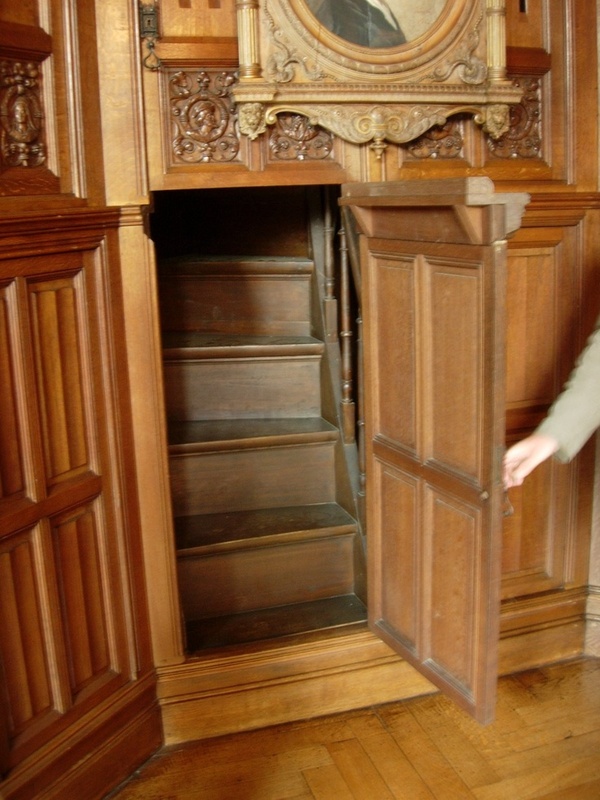 Built to please the good spirits and hide from the evil ones, staircases went nowhere, or went down then up, hidden passageways were installed, and doors led to nothing. Often her plans involved tearing apart rooms that had just been finished to rebuild them another way, which also explained the stairs and doors that led nowhere. At first, Sarah entertained neighborhood children on her lawn, but eventually her arthritis forced her to become more reclusive. 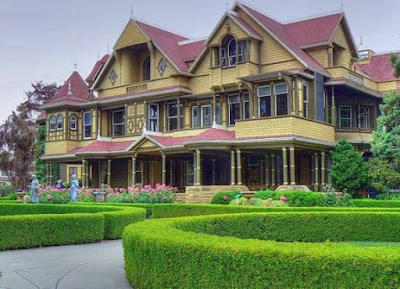 After the 1906 earthquake which resulted in her being trapped in a front bedroom, she decided the spirits were angry with her and had the front of the house, including a grand ballroom that was never used, sealed up. She supposedly slept in a different bedroom each night, using various passageways to get around the house and confuse the spirits. When she died in 1922, the house had 10,000 windows, 2,000 doors, 47 stairways, 57 fireplaces, 13 (a number she used frequently in the house) bathrooms, and 6 kitchens. It is estimated that some 500-600 rooms were actually built over the course of time, although “only” 160 remained. When I visited the “mystery” mansion, tourists were warned to stay with their guides because one can still get lost among the erratic maze of the house’s layout. There are many more odd and interesting details about the house, but I’ve run out of space. 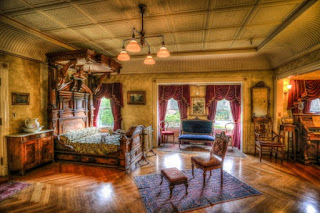 For more information, see www.winchestermysteryhouse.com. So, do you think Sarah Winchester ever had peace from the spirits that haunted her? She’s one more of the sad examples that shows money can’t buy happiness. 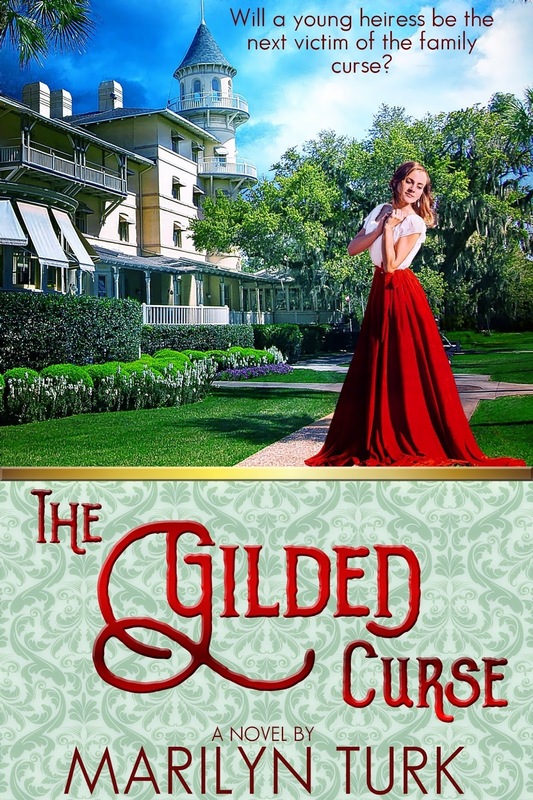 It's 1942, and Lexie Smithfield, heir to her family’s fortune, journeys to Jekyll Island to dispose of the family vacation home her deceased mother told her was cursed. But mysterious events threaten her safety, and only Russell Thompson, a childhood friend, can help her discover the truth before she is caught in a trap that threatens her very life. That is a pathetically sad story. What a shame that woman didn't turn to the living God in her grief instead of demons! Thanks for sharing, Marilyn. So excited to see your book is out! Love the cover, too! 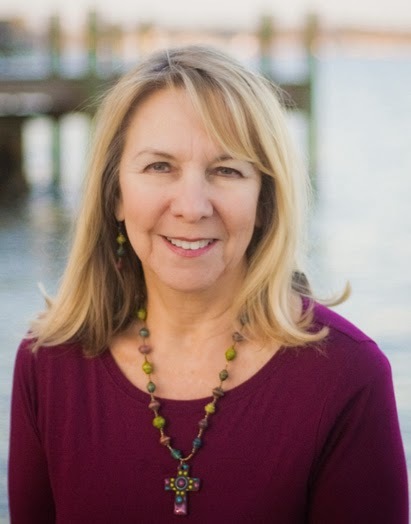 Thanks Linore, and thanks for your wonderful endorsement! What a sad life she had, with no peace for so many years. I visited the house several years ago with my family. It was interesting, but we made sure to stick with the tour guide as no one wanted to be left behind. Thank you for posting on this! Yes Linda, truly a sad, unfulfilling life. I've visited Winchester House many years ago, and was amazed by the many "spirit" stories the tour guide shared. 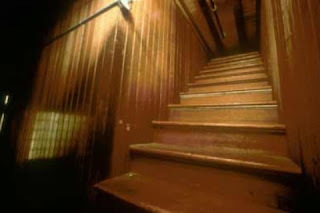 The hallways were narrow and the stairs to no-where was everywhere. Interesting, and yes, definitely a sad story. Amazing place, isn't it? Obviously a place for showing the confusion of a lost soul. This is a tragic story. Grief is a powerful emotion. True peace is only found in the Prince of Peace. Amen, Caryl. Too bad she didn't know the Prince of Peace. What a sad story! I am so glad I have the Lord to help me whether it is a difficult or a happy time. Thanks for the giveaway. 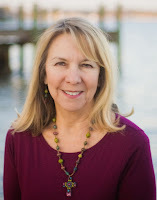 Thank you for reading it, Betti! Winchester in the past. Hers was certainly a unique story. Money cannot buy everything for sure. 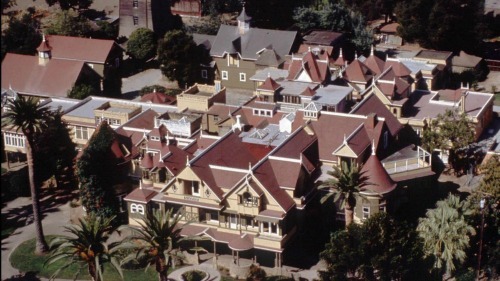 I have visited the Winchester House and I was totally intrigued by it. Beautiful, haunting, puzzling.....certainly a mixture of wonderment. Thank you for your great post! Thank you for your comment, Melanie. What an interesting story. Thank you. I toured this house as a child and was saddened and freaked out by the weird opulence. It's nice to learn the details as an adult.